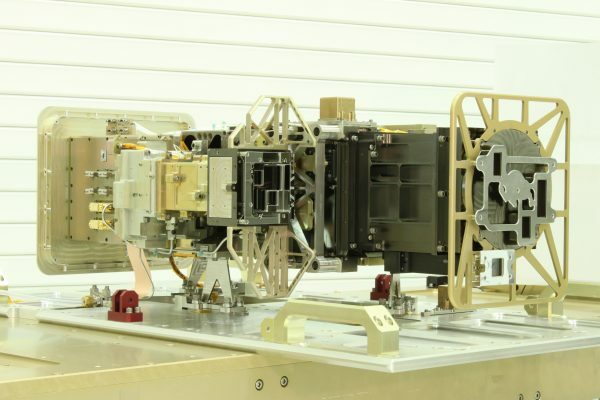 Designed and built at LASP, the instrument suite known as the Extreme Ultraviolet and X-ray Irradiance Sensors (EXIS) is the first of four identical packages that will fly on four NOAA weather satellites in the coming decade. EXIS will measure energy output from the sun that can affect satellite operations, telecommunications, GPS navigation, and power grids on Earth as part of NOAA’s next-generation Geostationary Operational Environmental Satellites-R Series (GOES-R). EXIS consists of two LASP instruments, including XRS, an X-ray sensor that can determine the strength of solar flares and provide rapid alerts to scientists, said Eparvier. Large solar flares, equivalent to the explosion of millions of atomic bombs, can trigger “proton events” that send charged atomic particles flying off the sun and into Earth’s atmosphere in just minutes. They can damage satellites, trigger radio blackouts and even threaten the health of astronauts by penetrating spacecraft shielding, he said. Fluctuations in extreme UV wavelengths from the sun ionize the upper atmosphere and interfere with communications like cell phones and GPS signals, said Eparvier. In addition, such fluctuations can create satellite drag, causing spacecraft to slowly fall out of orbit and burn up months or years before such events are anticipated. 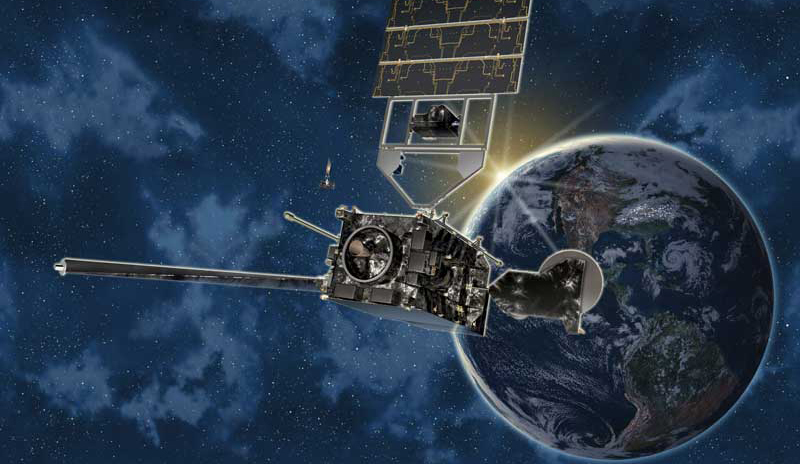 NOAA’s GOES satellites are a series of weather satellites that help scientists make timely and accurate weather forecasts. Two GOES satellites are now in geostationary orbit at a height of about 22,000 miles, with one focusing on the east part of the Americas overlapping with another focusing on the west. Satellites in geostationary orbits complete one revolution in the same amount of time it takes for the Earth to rotate once on its polar axis, allowing them to “stare” at a portion of Earth, said Eparvier. LASP also built key solar instruments for NASA’s Van Allen Probes mission launched in 2012 to study Earth’s radiation belts, and designed and built a $32 million instrument package for NASA’s Solar Dynamics Observatory that launched in 2010. More than 100 LASP personnel ranging from scientists and engineers to technicians, programmers and students have worked on the EXIS program since 2006. LASP will support EXIS on the four NOAA GOES satellite missions through spacecraft integration, testing, launch and commissioning, said Eparvier.